Due to scheduling conflicts, this coming Tuesday’s practice will be Advanced Iaido ONLY at 8:15pm. Due to some unforeseen scheduling conflict with Greenhill, our kendo practice tonight will start one hour later at 8:15pm instead. Our dojo is pleased to announce the 15th Nabeshima Cup （第15回鍋島杯） and 9th Texas Open Kendo Taikai（第９回テキサスオープン）will commence on Saturday, April 18, 2015. The 2015 Nabeshima Cup Taikai will be offering four divisions: Mudansha (1 Kyu and below), Yudansha (1 Dan to 3 Dan), Women (3 Dan and below), and Youth. The Texas Open will be open to 4 Dan and above. Here is the Shinsa Registration Packet for DFWKIK members. This happens to be the weekend for the 50th Annual Academy of Country Music (ACM) Awards in Dallas. So please plan your trip as early as possible. The Event Special rate at Hilton Lincoln Center is good until March 20, 2015. After that, it would be regular rate. Arthur Ichiro Murakami Sensei passed away last night peacefully while sleeping. Murakami Sensei was battling with throat cancer for the past 8 months. He was the former president of AUSKF who signed a lot of our menjos. Murakami Sensei (Kendo Nana Dan Kyoshi, Iaido Roku Dan) was also one of the 4 VPs of International Kendo Federation (FIK), representing the American Zone from 2012 to 2015. Here is some news coverage of Arthur Ichiro Murakami Sensei in 2012. 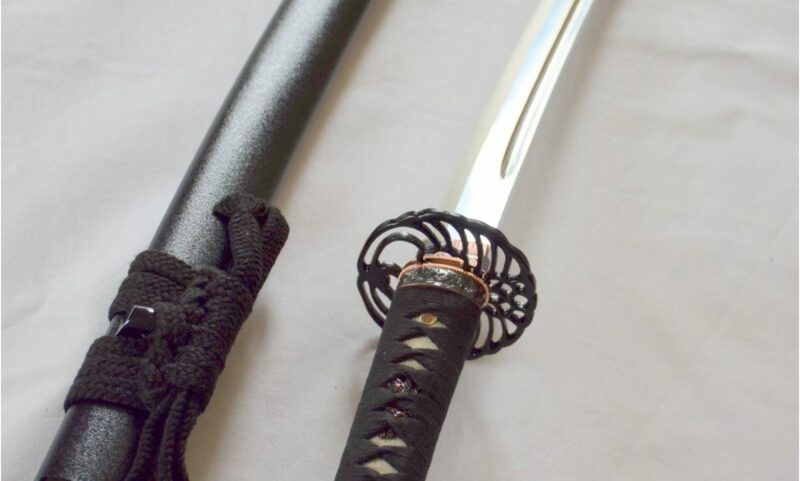 His daughter Julia had his iPod engraved with “Kendo is my life. My life is Kendo.” according to the Rafu Shimpo news report. Since our dojo is going to host a bunch of events this year including Nabeshima Cup, let’s get the membership drive done the earlier the better, March 1, 2015 being the official cutoff date. Please give the completed 2015 Annual Membership Forms and payment/receipt to Ashley. The easiest way to pay is by using dojo online payments and print the receipt. **Membership to SWKIF/AUSKF is REQUIRED for participation in ALL federation events such as Nabeshima Cup, AUSKF Iaido camp and Kendo Summer Camp, Taikai, Shinsa (Test for Ranks), Seminars, etc. Instruction is provided by Niten Ichi Ryu Musashi Kai (二天一流武藏会) at this biggest Nito kendo camp. Both Nito and Itto kenshi worldwide are welcome to this unique learning experience. Seminar is open to both beginners and advanced rank. The closest airport to Ontario, Oregon is Boise, Idaho (BOI). More details will be provided at here. A short report of the 2nd US Nito Kendo Seminar held in the D.C. area in 2009 written by Brian Sherry from Nova Budokai can be found here. Our first practice in 2015 has been rescheduled to next Tuesday on January 6, 2015 at Greenhill. NO practice this Sunday.